So I've been trying to eat healthier. Once our first daughter started eating real food, we both decided to try and eat healthier. Lately, I've gotten back into eating smoothies. 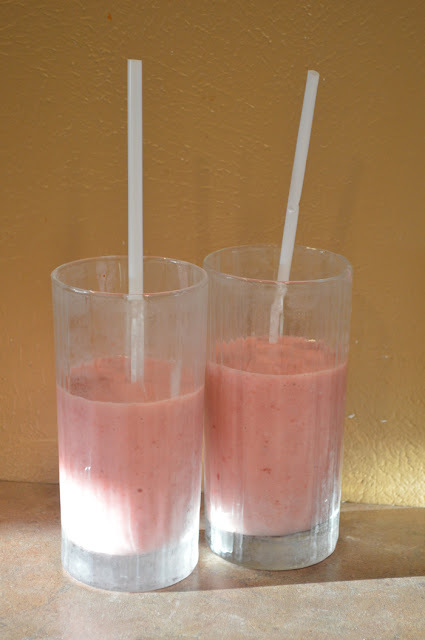 I have always loved smoothies! But to eat healthy isn't always the cheapest, and fruit is one of the more expensive healthy foods. One day my friend Diane and I were talking about making smoothies and she gave me the best idea. She buys fruit when its on sale, or cheaper because its in season and then divides it up into smoothie packages and freezes them. I dedcided to google some smoothie recipes, but I never found any that I truly liked, so I took what I read and changed them to work for me. I wanted to make a thick smoothie, but use the least amount of ingrediants. More fruit, less sugar. I wasn't a big fan of using juice either. 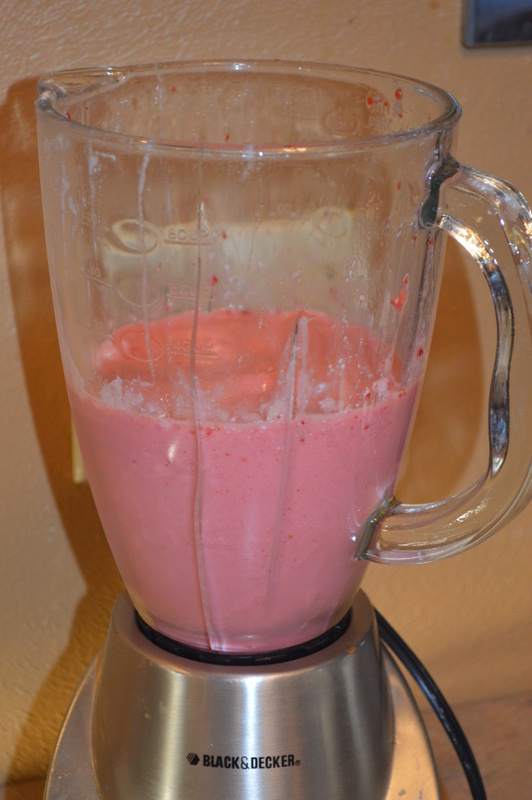 The following recipes use only 3 ingrediants, water, frozen fruit and frozen yogurt. I also buy yogurt in bulk when its on sale and freeze it as well. So pick a recipe and take all your ingredients and freeze in a bag or glass jar. You can also buy frozen fruit in the large bags and then divide it up into smoothie jars too. 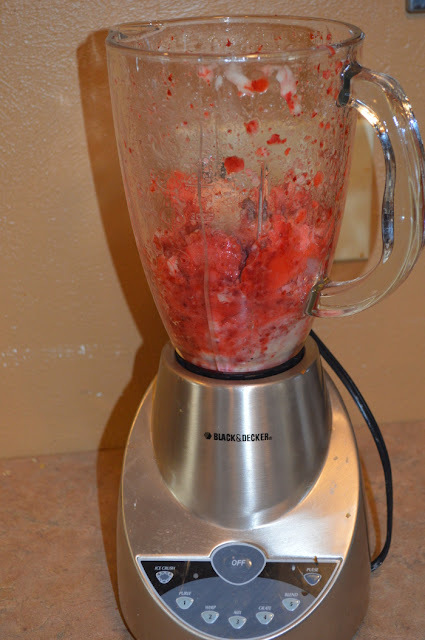 Then when you are ready to make a smoothie all you have to do is dump & blend. 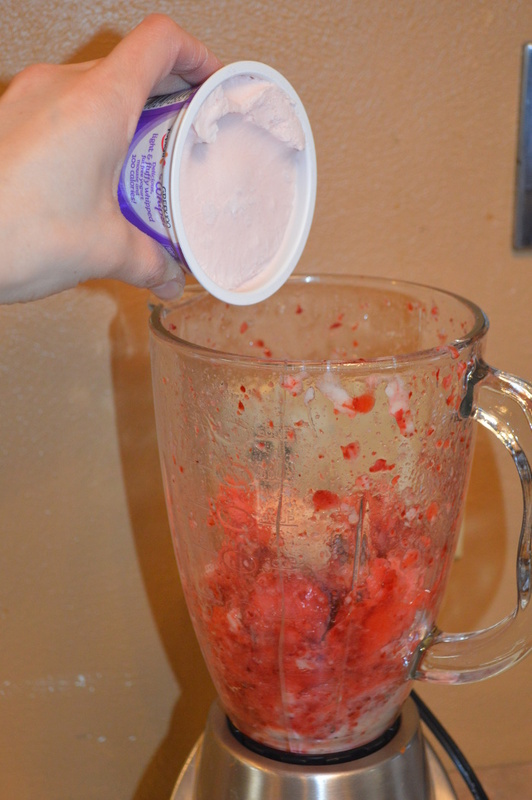 The frozen fruit or ingredients will help to make the smoothie texture you want. So when fruit is on sale, you can stock up and make different smoothie packets. Here are some to get you started that I have tried and enjoy! I like to let my fruit thaw for about 30min. (This helps it blend better) Don't let it thaw all the way though, because if the fruit is frozen you don't need to add any ice. Then I toss the fruit combo into blender. 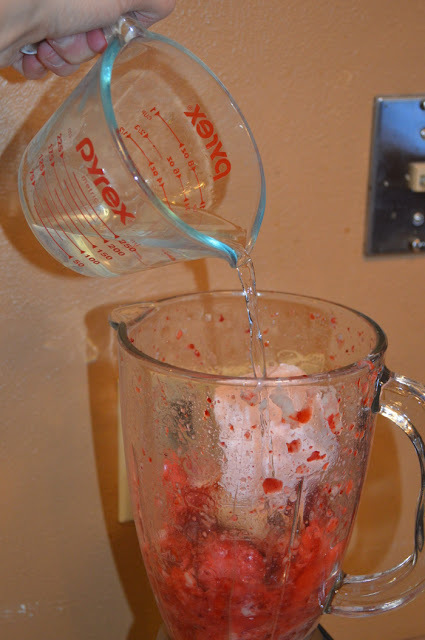 I use the ice crush button on my blender to make sure all the fruit is crushed up. Add a 6oz container of yogurt your choice. I like mine pretty thick so I like to use the yoplait whips. I buy them when they are really on sale and freeze them. Then I let one thaw a little before hand like I do the fruit and the combo makes it the consistency I prefer. Blend together until desired texture. Voila! You have a healthy smoothie. We love to pair ours with pizza night. Another way to make it even more healthier, use greek or noosa yogurt. Honestly, I'm not a fan of either of these yogurts. I have tried them, but even though I know they're better for you... less sugar and all, I just can't get on board with the taste. However; mixing it in a smoothie, I don't even notice the difference! So if you want to make it healthier and are willing to spend a little more on the yogurt since you're getting the fruit cheap, then go for it! What I love about this recipe is it doesn't have any added sugar, other than the yogurt so it's fairly healthy. 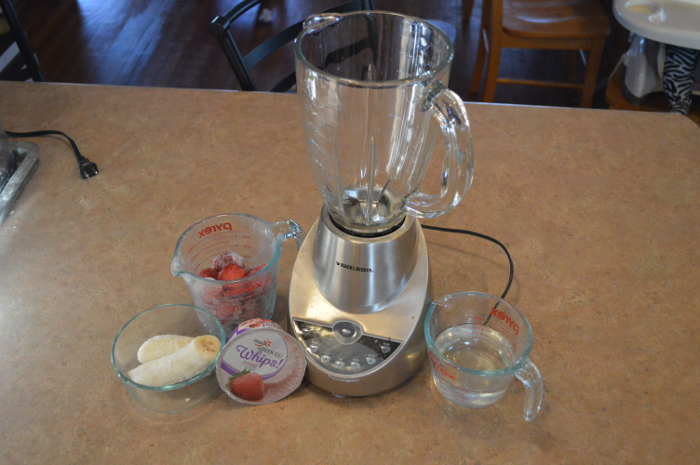 Do you like to make smoothies? What are you favorite recipes? How are some ways you make it healthy?